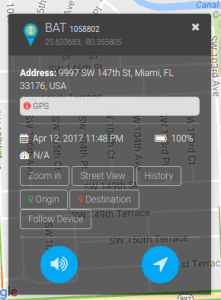 When clicking on the device marker icon on the map, the location information will be available inside the information pop up right above the device marker icon. 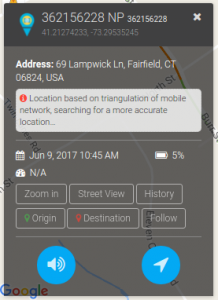 When clicking on the device on the left sidebar of the dashboard the location information will show at the lower left-hand corner of the map. 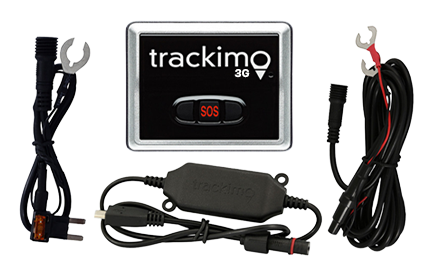 The location information available is the device address, time tracked, speed, battery percentage left, and the longitude and latitude of the device. 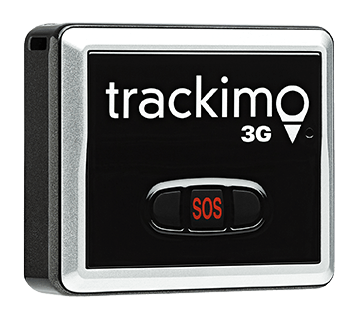 Note: The device location may be based on the cellular network signal (GSM location), in cases where the device cannot receive proper GPS signals from the GPS satellites, for example indoors. This location is not accurate, but rather an approximation of the device location. 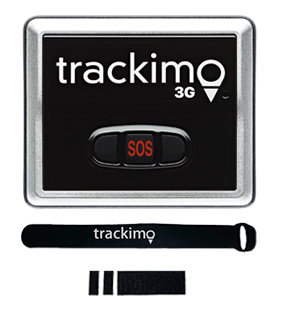 tracking marker notifying you that the location is approximate, as shown in the image to the right.